Christ is risen! May God bless you! I am writing to share good news from the Board of Directors, following its meeting earlier this month. As you know from my earlier correspondence, the Board has had an open search for a candidate to take up the role of Principal once I stand down from this position, as planned, at the end of the current 2011-2012 school year. Potential candidates have been reviewed from across the country, and at its most recent meeting, after opening with prayer and the Paschal tropar, the Board voted and unanimously confirmed its preferred choice. It is a delight to announce that the Principal of St John’s Academy, beginning in September 2012, will be our very own Mr Seraphim Winslow—currently the Dean of Students. Mr Winslow has, as most in our school community know quite well, been with St John’s for many years, and has been a key figure not only on the teaching staff but also in the school’s administration. On the teaching side, he was our first winner of the Herbst Foundation Award for Teaching Excellence in 2011 (the same external award won by Mrs Landrum this year) and has taught multiple subjects across many grade-levels, working consistently to employ creative teaching methods and to foster St John’s focus on a Classical, Orthodox education. On the administrative side, Mr Winslow has not only overseen student discipline and coordination in his role as Dean of Students, but has also been responsible for the development of the immensely successful Great Houses programme (a key and much-cherished ingredient in the strong spirit and bonds of student life at St John’s) and various other developments in school structure, as well as participating in the weekly meetings of the Academy’s administration that looks after day-to-day operations and planning. In selecting Mr Winslow for the role of Principal, the Board of Directors was especially impressed by his enthusiastic dedication to the mission and future of the Academy, including developing and accenting our focus on Classical studies, building on and improving the school’s academic benchmarks and results, and fostering a unique, safe and spiritually supportive environment for learning. He is also deeply committed to the Board’s vision of broadening St John’s reach into the wider pan-Orthodox and Christian communities, expanding the mission of the school to a larger group of students and families who can benefit from the strengths of an Orthodox education. His administrative experience thus far has granted Mr Winslow a working-knowledge of the functioning of St John’s that is hard to match, and he has a proven track-record of taking on new tasks and seeing them through with great success. Since I arrived at St John’s in January of 2010, we have all been working with dedication to foster the life of this special place as it grows and develops in the approach to its third decade of service. We have made excellent progress—especially given the dire financial constraints that have come upon our parents, families and the school itself over the past years—and the future of St John’s looks very bright. Our student numbers next year are looking good, and we’re taking in more new applicants for 2012-2013 than we did for the school year currently in progress: wonderful new families and children that will be a blessing in our school community. There is, of course, a great deal of work yet to do: we must continue to maintain and even improve our already high academic standards; we must return ever more consciously to our emphasis on Classical education, incorporating those ideals more and more into our everyday life and actions; we must ensure that the financial plans put in place are maintained and continually revised, so that the economic future of the school grows stronger and the financial burden on families lesser; we must strive to find new ways to incorporate parents and families more diligently into the school’s life; we must energetically work to expand into the broader pan-Orthodox and wider communities in concrete, practical ways. But most importantly of all, we must work to ensure that the Orthodoxy found at St John’s is a true Orthodoxy of joy and love for the Church and her life, embracing with conspicuous warmth, tenderness and support every child, parent, family and friend who comes into the school—banishing every thought or act of rigid formalism, pharisaicalism or harshness (for there is enough of this in the world!) and bearing witness instead to the profound, life-transfiguring peace and joy that our Faith may bring into the life of every man, woman and—for our purposes, most importantly—child. I am certain that God, through the prayers of our much-beloved and wonderworking patron, St John, will raise up Mr Winslow to his new responsibilities with many blessings, and that the year ahead will, under his leadership as Principal, be a strong one for the school. Our school’s administrative structure will also be modified slightly in the year ahead, to help provide the best configuration of resources and support to our students, staff and families. 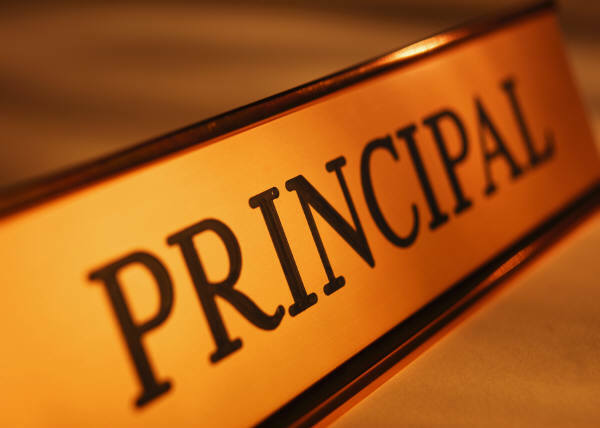 I will be working closely with the new Principal in an administrative role of as-yet-undetermined title, to be a resource for him and, as much as God permits, for each of you also in the school. While I am very happy indeed to ‘pass the baton’ of Principal onto Mr Winslow, I have no desire to be far from the Academy or its life, and look forward to continuing to work with you and our students in the years ahead. St John’s Academy is a special place, and so it will continue to be as it grows, expands and develops in the years ahead. God’s mercy and love are great, and His divine blessings on this place have been evident from the beginning. I ask you therefore to join me in congratulating Mr Winslow on his appointment as Principal, and rejoice together with me that God has provided, from among our own ranks, someone to capably and enthusiastically guide St John’s into the future.